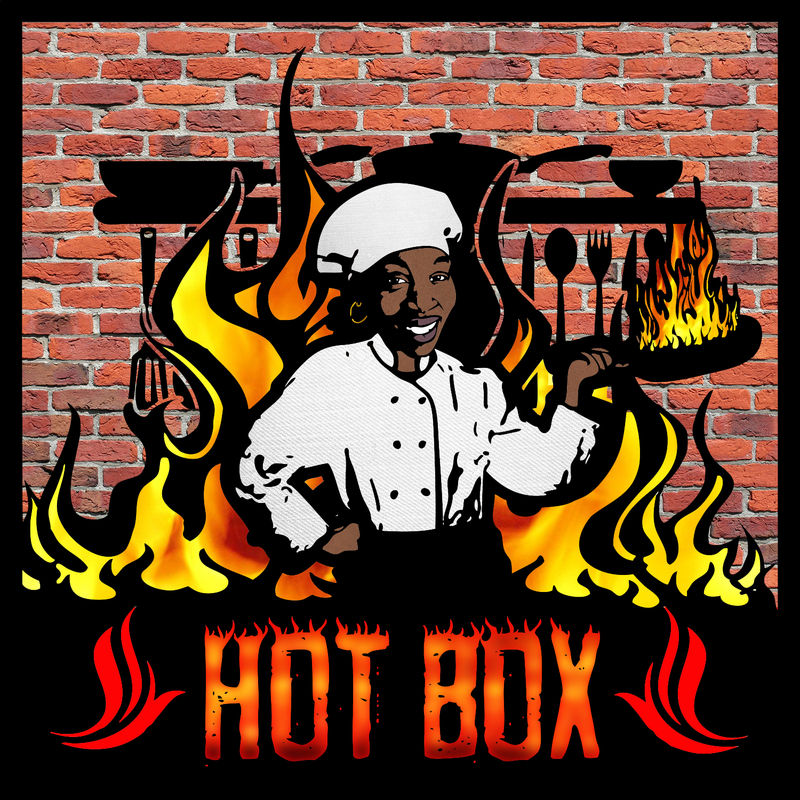 HotBox Bistro, LLC – Amazing Food, Amazing Vibes! 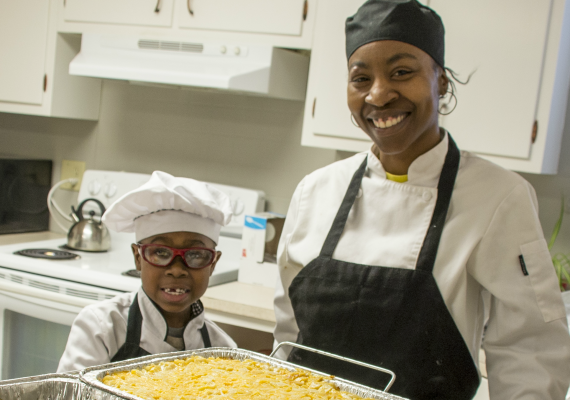 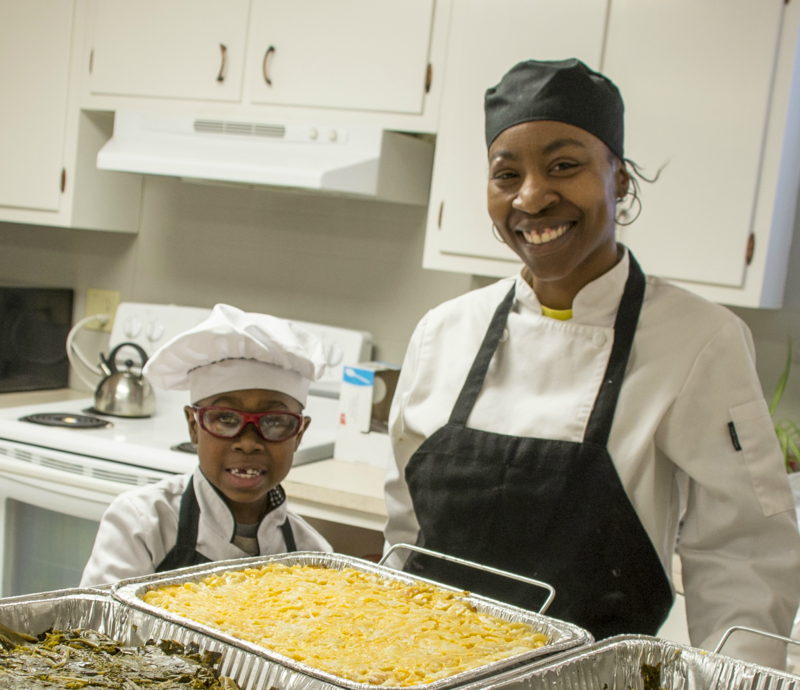 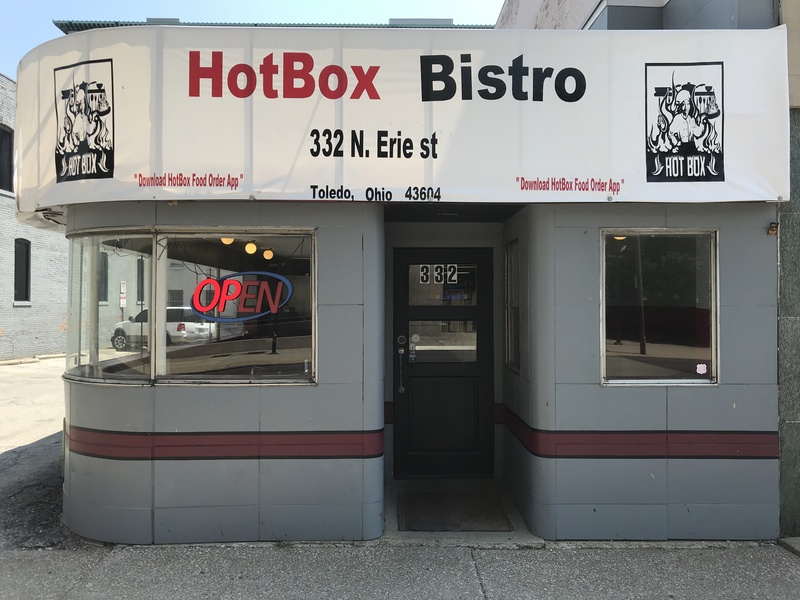 HotBox Bistro is a so much more than just a restaurant; it is its own culture, vibe, and community expanding beyond its premier location in downtown Toledo, Ohio. 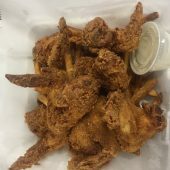 There lives a certain spirit of excellence at HotBox Bistro that echos its Los Angeles, CA roots from the seasoning of Chef Keitha Sheares’ one-of-a-kind dishes; to the inviting atmosphere rather your with your family, your colleagues, or your friends! 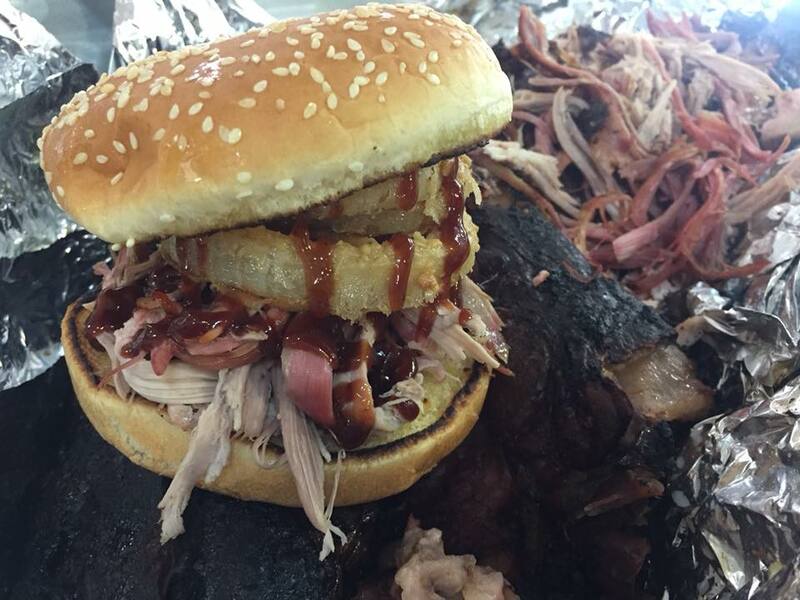 Come meet us at HotBox Bistro, we are waiting for you. 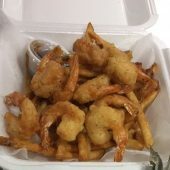 Original HotBox shrimp in our special house batter served with a side of hand cut fries. 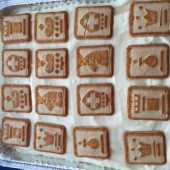 Original HotBox banana pudding made from scratch with a hint of love from our chef. 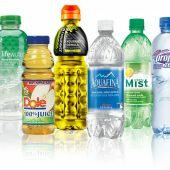 A wide assortment of beverages such as soda, bottled water, HotBox Koolaid, Tea, Juices, Coffee, and more. 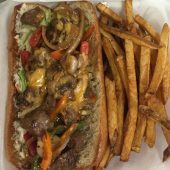 Toasted bun filled with sauteed steak, mushrooms, onions, peppers, cheese, lettuce, tomatoes, and mayo served with hand cut french fries. 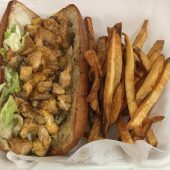 Toasted bun filled with sauteed chicken, mushrooms, onions, peppers, cheese, lettuce, tomatoes, and mayo served with hand cut french fries. 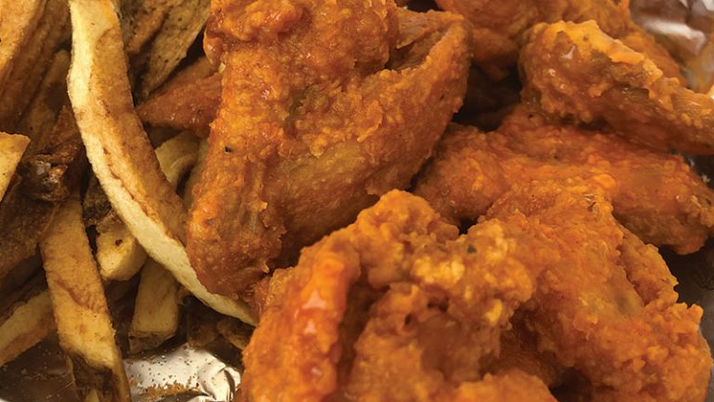 Fried or white rice, sauteed veggies, with your choice of a sweet or spicy saucy inside of a fresh pineapple topped with your choice of 3 meats including seasoned chicken breast, shrimp or steak. 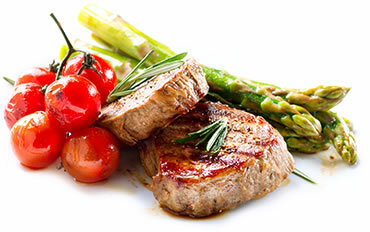 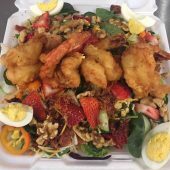 Fried or white rice, sauteed veggies, with your choice of a sweet or spicy saucy inside of a fresh pineapple topped with your choice of 2 meats including seasoned chicken breast, shrimp or steak. 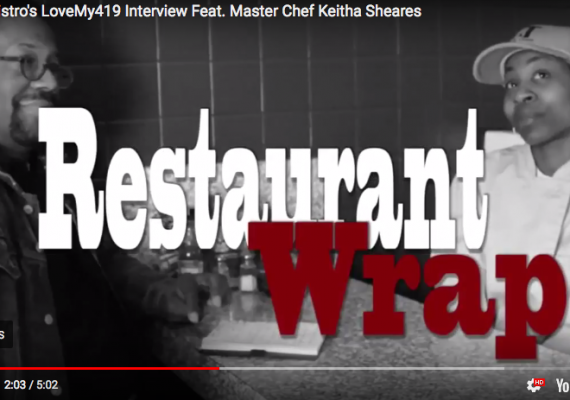 Original HotBox Bistro loaded stuffed baked potato with broccoli, butter, sour cream, and cheese topped with grilled Steak. 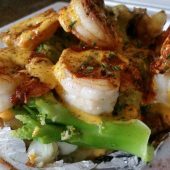 Original HotBox Bistro loaded stuffed baked potato with broccoli, butter, sour cream, and cheese topped with grilled shrimp. 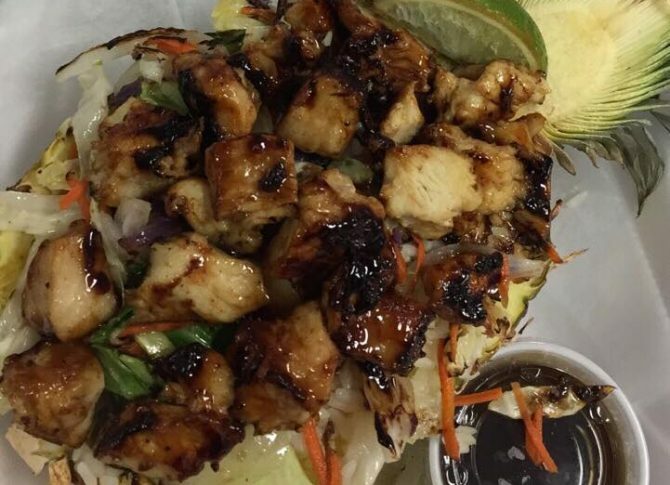 Fried or white rice, sauteed veggies, with your choice of a sweet or spicy saucy inside of a fresh pineapple. 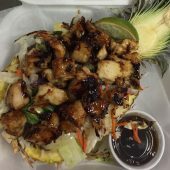 Fried or white rice, sauteed veggies, with your choice of a sweet or spicy saucy inside of a fresh pineapple topped with seasoned steak. 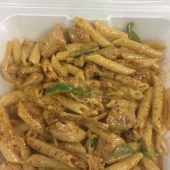 HotBox Bistro’s steak Alfredo with marinated peppers, and onions in an original Alfredo sauce. 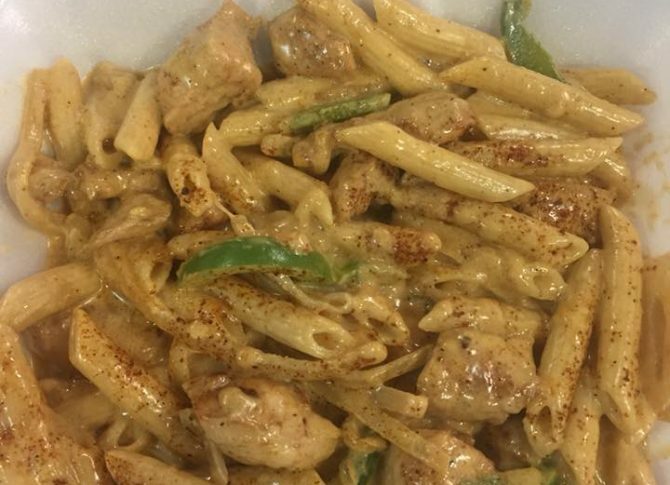 HotBox Bistro’s Cajun Chicken pasta with marinated peppers, and onions in an original Cajun cream sauce. 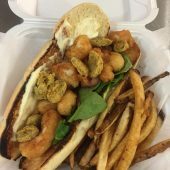 Come enjoy the original HotBox Po’ Boy shrimp sandwich with our special sauce and hand cut french fries. 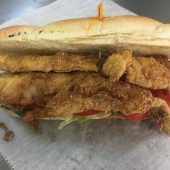 Come enjoy the original HotBox Fish Po’ Boy sandwich with our special sauce and hand cut french fries. 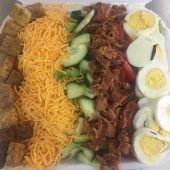 Mixed Greens, Tomato, Cucumber, Bacon, Cheese, & Eggs. 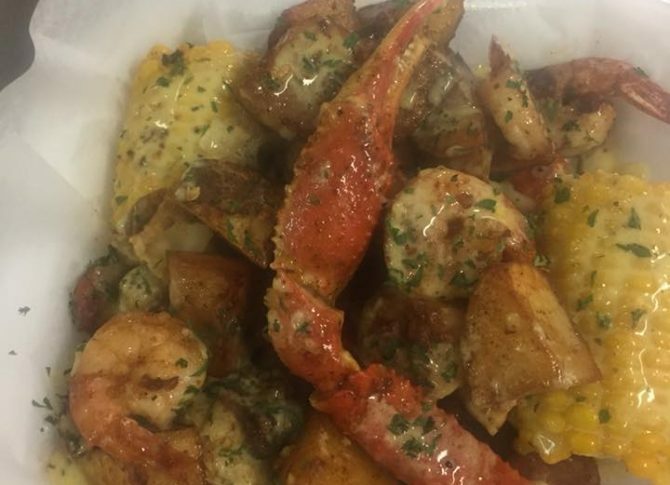 The original HotBox Crab Box with of crab legs, shrimp, spicy beef sausage, potatoes, corn steamed to perfection sauteed in cajun and butter sauce. 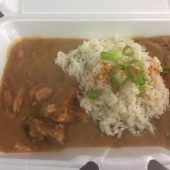 Spicy southern stew of chicken, peppers, onion and celery served over a bed of white rice in a cup or bowl. 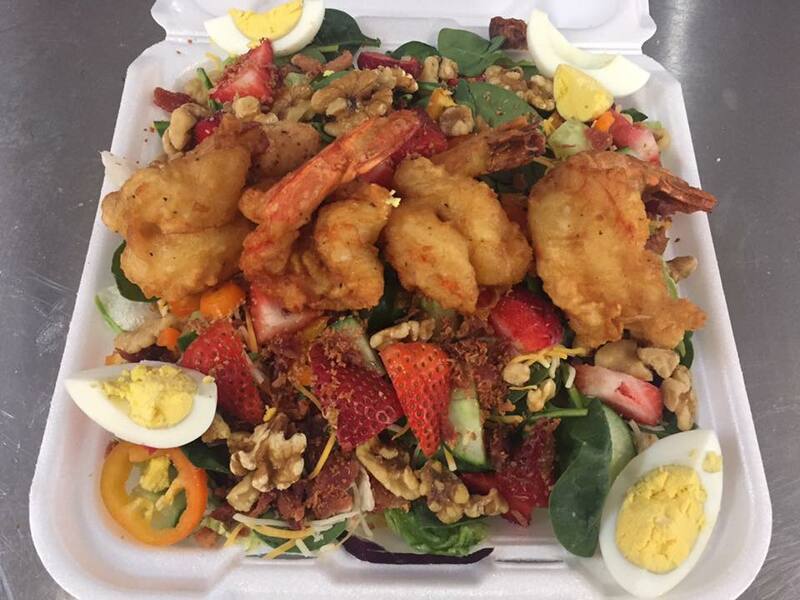 Introducing the amazing HotBox Texas salad because we all know everything is bigger and better in Texas. 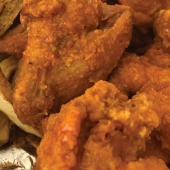 Our signature marinated whole wings are deep fried to a perfect crisp and served with our HotBox creamy ranch sauce. 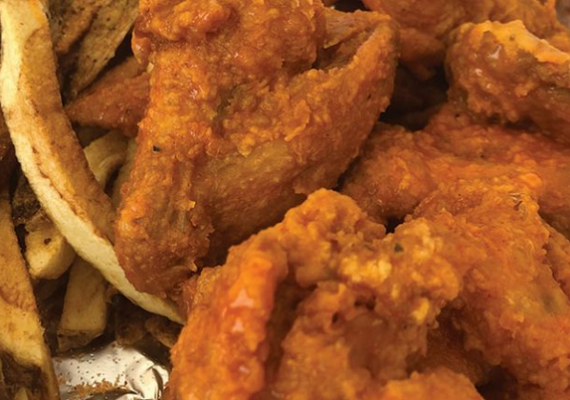 Marinated whole wings, deep fried and tossed in our house made sauce. 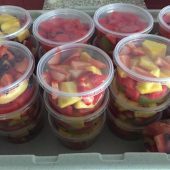 Fried or white rice, sauteed veggies, with your choice of a sweet or spicy saucy inside of a fresh pineapple topped with seasoned chicken breast or steak. 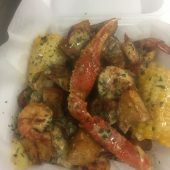 HotBox Bistro’s Cajun shrimp and chicken pasta with marinated peppers, and onions in an original Cajun cream sauce. 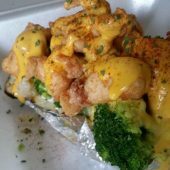 Original HotBox Bistro loaded stuffed baked potato with broccoli, butter, sour cream, and cheese.